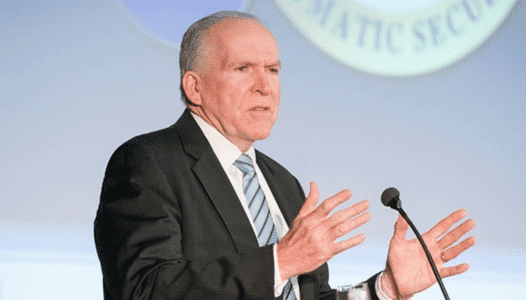 Brennan served as CIA director from 2013-2017 under President Barack Obama and has become a stalwart critic of the 45th president. Last week, Trump yanked Brennan’s security clearance over Brennan’s ongoing criticism. I have a unique constitutional responsibility to protect the nation’s classified information, including by controlling access to it. Today, in fulfilling that responsibility, I have decided to revoke the security clearance of John Brennan, former director of the Central Intelligence Agency. The president’s action regarding John Brennan and the threats of similar action against other former officials has nothing to do with who should and should not hold security clearances,” the officers sad, “and everything to do with an attempt to stifle free speech. Last Friday, sixty former CIA agents condemned Trump for his targeting of Brennan in a second open letter. “All of us believe it is critical to protect classified information from unauthorized disclosure. But we believe equally strongly that former government officials have the right to express their unclassified views on what they see as critical national security issues without fear of being punished for doing so,” the letter read. The officials denounced creating a “political litmus test” for allowing experts to share their opinions. “Our signatures below do not necessarily mean that we concur with the opinions expressed by former Director Brennan or the way in which he expressed them,” Brennan’s defenders said. “What they do represent, however, is our firm belief that the country will be weakened if there is a political litmus test applied before seasoned experts are allowed to share their views,” they added.